Secret Service agents investigated a man who appeared to threaten the life of President-elect Donald Trump. 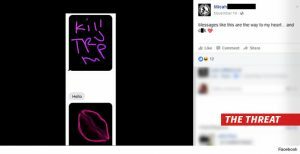 Law enforcement officials confirmed to TMZ that the Secret Service and deputies in Greene County, Ohio, met Monday with a man who posted, “kill Trump” on Facebook. The Secret Service determined he was not a serious threat. Posted: 11/30/16 at 9:09 AM under News Story.